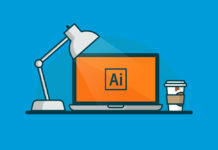 How should a brand react during a social media crisis? There’s no ‘one’ right answer, but repeatedly deleting Facebook comments from fans and followers got Chapstick into some seriously hot water this week. 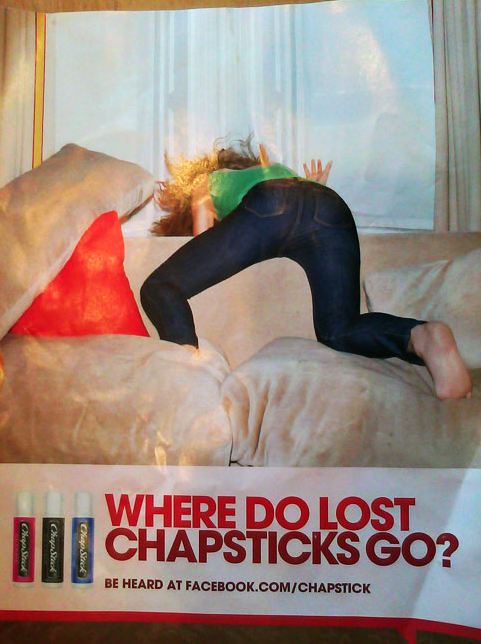 It all began with an ad, entitled “Where Do Lost Chapsticks Go?” with the picture of a young woman’s behind (in jeans) as she bends over the couch allegedly searching for her Chapstick. Underneath, the text is “Be heard at Facebook.com/Chapstick” – quite ironic given how this story plays out. A blogger sees the image, takes offense, and writes about it – when she comments on Facebook, Chapstick deletes her comment. This started a firestorm of comments, with more and more people posting negative opinions about the ad on Facebook, and Chapstick deleting these posts as fast as possible. Fans were trying to “be heard” and debate their views on the ad with other fans, but Chapstick was clearly not interested in listening or allowing the conversation to happen. People who’d made comments asked why they were deleted – these comments were also deleted. According to AdWeek, the image wasn’t such a big deal, but it was “ChapStick’s reaction to the criticism that galls.” At a certain point Chapstick couldn’t keep up with the volume, and some negative posts got through. However, the brand still in no way acknowledged the issue, or the deleting of comments. Chapstick’s post certainly received a lot of feedback, with 494 comments to date, and 291 likes. Based on the comments, plenty of viewers of actually thought the ad was funny, but few felt that Chapstick deleting comments (that weren’t profane) was appropriate. Many viewers supported the ad (and Chapstick as a brand), and felt the uproar surrounding it was blown way out of proportion. Judging by the willingness of many Chapstick fans to defend the brand, perhaps Chapstick would’ve been wiser to leave all comments about the ad up, and let the fans speak for themselves. If nothing else, the level of controversy stirred up by the ad would have increased traffic and brand exposure. And everyone involved would have felt that they were “being heard,” as opposed to deleted and ignored. Social media blunders are widespread these days, and the media is eager to step in and judge brands by their immediate reaction. Brands have to learn to think on their feet, and address the situation in a way that makes fans/followers feel that their feedback is important. For an example on how brands can respond to comments viewed as unfavorable or inappropriate, check out the case study “McTrends: Starting Buzz and Managing Rumors” presented by Rick Wion, Director of Social Media at McDonald’s, at Realtime NY 11. @AmyVernon I disagree. The photo was benign & issue was blown out of proportion. They had a right to delete. @AmyVernon I’m stunned that Chapstick actually _has_ a Facebook page. I mean, jeez, it’s lip balm. A write up with powerful points!